On opening weekend I was able to treat my family to see the new movie “SULLY” starring Tom Hanks. Captain Chesley Sullenberger is the pilot who courageously, miraculously and safely landed the plane on the Hudson (Flight 1549) on January 15, 2009. I remember that day vividly for a couple reasons. One, it was exactly five days before President Obama would be sworn in. Secondly, I knew we were close but it was also five days before our son, Andrew Lincoln Shelton would be born. Andrew was born the exact hour Obama was sworn into office. It was cold the week of the inauguration and I was watching the weather and news to map out best route to hospital and when this transpired I was glued to the set. Thirdly, because my office had been evacuated on Capitol Hill on 9/11, I recall watching American planes fly low in New York and that day was not good! Some things in life don’t go together: Oil and Water, Redskins and Cowboys and never before would I suggest a commercial plane and a body of water. That day things changed and lives were saved. 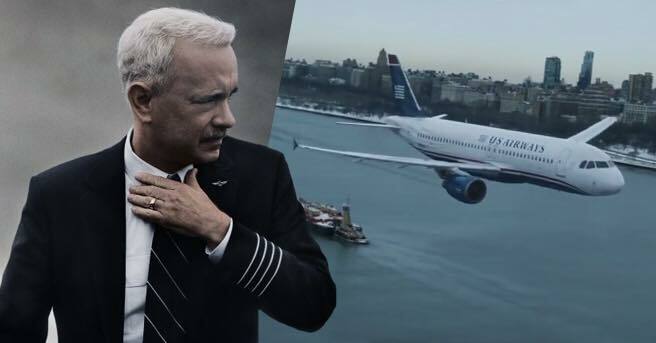 One of the things that I loved and caught immediately is that Captain “Sully” didn’t refer to those under his care as passengers or people but SOULS. He said repeatedly, “We have 155 souls on board.” When the US Coast Guard spot those in distress they don’t say people but souls stranded at sea. It is a sad day in this PC world that aviators and military still get terminology right but too many in ministry are missing the boat. Literally! NFL Hall of Fame and Wash Redskins great John Riggins got stronger as the game went on. By fourth quarter he was on all cylinders. Great preachers don’t fizzle at the end but finish strong and never hesitate to encourage others to respond to Christ. Jesus said, “TODAY is the day of salvation.” Ministry – urgency = Catastrophe! Yes, yesterday we celebrate Reformation Day but regardless of your theology the Bible tells us all to “do the work of an evangelist.” We have souls under our care and by God’s grace we have a part in the Kingdom process. Pastors – this Holiday Season preach as a dying man to dying men. Then folks will be dying to hear what God has to say through you. We saw over 100 professions of faith last month in one weekend while preaching in Canada and Vermont and sadly that was more in one weekend than what scores of churches see all year. Just two weeks ago while preaching in Maryland we had FORTY ONE souls profess Christ at one service. Glory! Until we got alone with God we will be no good to those under our care. The Bible is clear – “He that wins SOULS is wise.” Over the years I have learned that we don’t have to be smart to be considered wise. In my past political life, I read and met folks who were smart but not wise. In ministry, we have brilliant minds but sadly not everyone is wise when it comes to soul winning. When was the last time your church truly saw a move of God? Professionalism is killing us in the ministry. We need a personal touch from God. Even our leaders. Burn Baby Burn! Sully got it, United States Coast Guard get it – may every Christian and clergy never forget –SOULS. I had to repost this to all Pastors and Ministry leaders! A good friend of mine posted this and couldn’t have said it better. Thank you Pastor Evangelist Frank Shelton for this Amazing insight from God. God Bless you and all your work for the Kingdom. Amen! You are so right. Churches want butts in the seats not souls for the kingdom. Too many are in ministry for the money. As a minister I have never brought a WORD for the money. GOD always provides. We need HOLY SPIRIT REVIVAL in our land. Amen Bro. Frank, my preacher and I in Texas were just discussing a similar word this morning as we were on a two hour plus drive to a funeral….conclusion, that it’s better to preach the word and true biblical scripture to 5, then to preach a tickle your ear watered down version of scripture to 5,000! Love ya brother and your heart for the Lord. Everyday!! Every flight plan!! Love you buddy!! See you in AL soon!! I wish every preacher in America would read and heed these words. America needs to hear Frank Shelton, not Trump’s vulgarity or Clinton’s vanity!! Frank, your writing reminds me of a young AW TOZER!!! Frank, my husband preached on almost the exact same thing today. We are praying for a revival like never before. Thank you for sharing.